Discacciati 5012d duet adjustable piano stool from just-piano-stools.co.uk, Italian made Discacciati adjustable duet piano stool. The Discacciati 5012d duet adjustable piano stool with tapered legs. Available in satin or gloss finish. 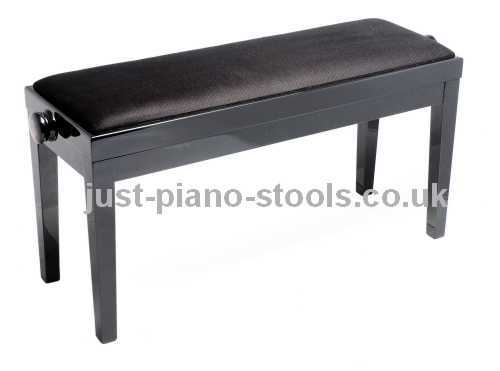 The piano stool seat is available in vinyl or dralon in a range of colours. 91cm wide, 32cm deep and 48cm to 58cm high.